McALLEN, Texas — Two community leaders have filed a lawsuit seeking to stop Texas border officials from pushing for the creation of a new tax jurisdiction on some of the poorest Texans via allegedly questionable election procedures. 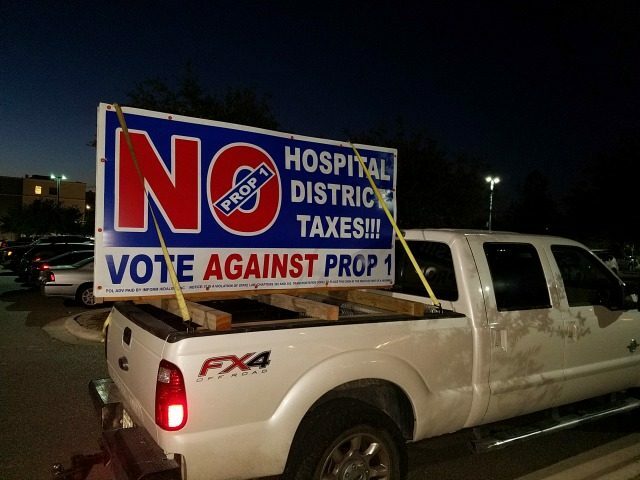 As Breitbart Texas previously reported, local Democrats have been pushing for the creation of a new taxing district that would collect additional revenue to cover indigent medical care in the county. The move has been harshly criticized by opponents since Hidalgo County already has an indigent care program. The creation of the district was voted on and defeated in 2014, however local politicians have resurrected the ballot measure during the current presidential election in what opponents claim is an effort to have the overwhelmingly democrat county vote straight ticket and pass it. In the days before the election, county officials approved a list of early voting locations that opponents claim are linked to the Border Health PAC, a group that is behind the push for the district and has contributed handsomely to the political campaigns of many of the current elected officials. As Breitbart Texas reported, the polling locations include several local hospitals, the same hospitals that would benefit from the creation of the hospital district. The list also includes a local bank and two local Spanish language television stations. All of the groups are connected to the Border Health PAC, court documents claim. In response to the move by county officials, Cruz Quintana Jr. and George Rice, two community residents filed a lawsuit in state court seeking a temporary restraining order to block county officials from using the contested polling places. Breitbart Texas has previously reported on George Rice, a war veteran who has become an outspoken opponent of the health district and has been the target of harassment since. The lawsuit was filed on the same day that Breitbart Texas reported on the questionable polling places. A state district court judge is expected to rule on the temporary restraining order this week.